The 4 Aristotelian causes are now understood as (a) the material cause; (b) the formal cause; (c) the efficient cause and (d) the final cause. The material cause is simply the material out of which the object is made. For example, a statue’s material cause may be marble, bronze or stone. The material cause of human beings would be the wide variety of chemicals, proteins, enzymes, tissues, etc that make up our bodies. The formal cause is the shape of the object in question. For example, a statue’s formal cause would be the shape of a statue itself (a human body, a tree, etc) and the formal cause of human beings would be the shape of a human person. The efficient cause is the primary source of the object. The artist would be the efficient cause of the statue, and the father and mother would both be efficient causes of a human being. And lastly, the final cause is the purpose for which the object was created. The final cause of a statue may be entertainment or beauty, or perhaps a memorial of someone/something. The final cause of a human being, according to Aristotle, was eudaimonia. In Nicomachean Ethics, Aristotle uses the term eudaimonia to describe an overall sense of happiness, joy and well-being. Eudaimonia is gained by the proper development of one’s character and the pursuit of arête, often translated as excellence. For Aristotle, it was uncontroversial to suggest that all objects, human beings and other animals included, have a final cause (or a telos). When classifying organisms into different categories, Aristotle would take all four causes into account, and from an analysis of those causes, would place organisms in different categories. This ancient classification system is a precursor of more modern taxonomic classification systems developed by scientists like Carl Linnaeus (1707 – 1778). In part 1 of De Partibus Animalium (On the Parts of Animals), Aristotle makes it very clear that final causation applies in the world of biology. Aristotle is saying (according to Richard McKeon), “Biological processes are purposive because they are adapted to ends. The generative power of a seed generates a plant of an animal of a particular kind.” (McKeon, 1973) Aristotle also makes an analogy to a house, where he shows that an explanation that does not include a final causation is inadequate. In addition to understanding the existence of organisms in a teleological sense, Aristotle also seemed to have an understanding of something similar to natural selection, but he understood it as potentially having a telos. From the words of Aristotle himself, it is obvious that he embraced all 4 aition when talking about biological organisms. However, the idea that organisms have a purpose/telos is totally foreign to most contemporary evolutionary biologists. Teleological language is deliberately avoided because of the commitment to an unguided process of evolution. As textbook authors Scott Freeman and Jon C. Herron point out in their book, Evolutionary Analysis, “Natural selection adapts populations to conditions that prevailed in the past, not conditions that might occur in the future. There is a common misconception that organisms can be adapted to future conditions, or that selection can look ahead in the sense of anticipating environmental changes during future generations. This is impossible. Evolution is always a generation behind any changes in the environment.” This sort of explanation seems directly at odds with Aristotelian teleological thinking. If “evolution is always a generation behind any changes in the environment”, in what sense can we say that it has a telos of any kind? 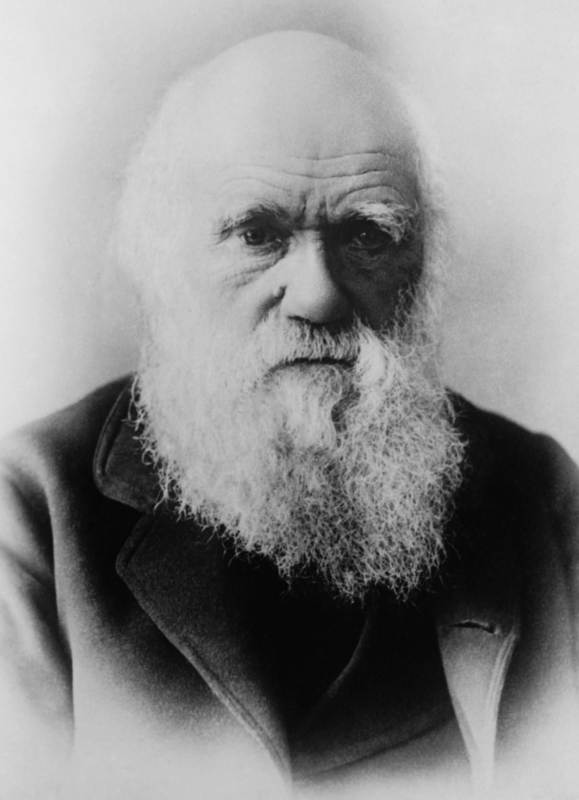 In Dr. Dennett’s book, Darwin’s Dangerous Idea, he explores the history of evolutionary thinking, starting from the time around when Darwin began formulating his ideas. Dennett summarizes the first chapter by saying, “Before Darwin, a ‘mind-first’ view of the universe reigned unchallenged; an intelligent God was seen as the ultimate source of all Design, the ultimate answer to any chain of ‘why?’ questions. Even David Hume, who deftly exposed the insoluble problems with this vision, and had glimpses of the Darwinian alternative, could not see how to take it seriously.” Dennett is under the impression that there is somewhat of a dichotomy between the position that God may exist and that evolution may be a reality. He sees the two as alternatives, indicating that there may be a fundamental incompatibility between the two. This is not uncommon amongst modern atheist scientists and philosophers. As ecologist Richard Dawkins once remarked, “… although atheism might have been logically tenable before Darwin, Darwin made it possible to be an intellectually fulfilled atheist” (Dawkins, 1986). It would seem that modern evolutionary biologists have largely rejected the 4th and final cause, but what of the other causes? Are they rejected as well? It would seem that they are not rejected whatsoever. In fact, they are all fully embraced by nearly all evolutionary biologists. For the sake of analysis, consider the recent evolutionary development of dogs. Aristotle’s first cause, the material cause, is the most obviously embraced. Modern dogs are made of tissues, proteins, amino acids and ultimately, atoms. This is the material that makes up a dog, the material aitia. Aristotle’s second cause, the formal cause, is the shape of the object. A dog has, broadly speaking, the shape of other organisms within the taxonomic rank of family, Canidae. While modern taxonomy isn’t divided into categories based solely on physical appearance, every member of the Canidae family has certain distinguishing features. These features include relatively long legs and bodies, non-retractile claws, forward-facing eyes, and carnassial teeth (used for shearing flesh). (Macdonald, 2012) Aristotle’s third cause, the efficient cause, is the source or the agent responsible for the existence of the organism. Looking at it simply, the efficient cause of a dog would be it’s biological parents. However, from a more evolutionary perspective, the efficient cause of the dog is the process of evolution itself. The “Darwinian mechanism” of evolution by mutations and natural selection is the [non-conscious] agent responsible for the dog’s existence. If the other causes are non-controversial, what is it about the final cause that encourages such teleological avoidance? Did Darwin’s introduction of evolution really make teleology a thing of the past? Darwin didn’t seem to think so. According to Daniel Dennett, “Darwin conclusively demonstrated that, contrary to ancient tradition, species are not eternal and immutable; they evolve. The origin of new species was shown to be the result of ‘descent with modification.’ Less conclusively, Darwin introduced the idea of how this evolutionary process took place: via a mindless, mechanical – algorithmic – process he called ‘natural selection’. This idea, that all the fruits of evolution can be explained as the products of an algorithmic process, is Darwin’s dangerous idea.” (Denett, 1995). Like Dennett, many modern scientists view Darwin’s contribution to the intellectual community as a reason to reject purpose. But is that what Darwin himself saw as the ramifications of evolution by natural selection? Darwin’s most widely recognized work on evolution is “On the Origin of Species by Means of Natural Selection, or the Preservation of Favoured Races in the Struggle for Life” (often referred to as “The Origin of Species”). In his book, Darwin lays out his thoughts regarding evolutionary change and the evidence that lead him to his conclusion. He does not, however, seem to throw out the concept of God as many of his contemporaries do. “Authors of the highest eminence seem to be fully satisfied with the view that each species has been independently created. To my mind it accords better with what we know of the laws impressed on matter by the Creator, that the production and extinction of the past and present inhabitants of the world should have been due to secondary causes, like those determining the birth and death of the individual. When I view all beings not as special creations, but as the lineal descendants of some few beings which lived long before the first bed of the Silurian system was deposited, they seem to me to become ennobled. Additionally, Darwin doesn’t throw out the concept of teleology as many of his contemporaries have. After Darwin originally published The Origin of Species, Asa Gray reviewed it and said, “… Darwin’s great service to natural Science in bringing back to it Teleology: so that instead of Morphology versus Teleology, we shall have Morphology wedded to Teleology.” After reading Gray’s observation, Darwin responded, “What you say about Teleology pleases me especially and I do not think anyone else has ever noticed the point.” As it relates to Aristotelian causes, Darwin used the term “Final Cause” in his ‘Species Notebooks’ when referring to the purpose of particular aspects of biology. (Lennox, 1993) Darwin was not unfamiliar with Aristotle’s final cause, and it would seem that Darwin’s teleological language might not have been accidental. While it is likely that Darwin was using teleological language deliberately, most of modern biology has thrown out the concept altogether, for reasons presented earlier. But not everyone in the scientific community avoids teleological language; some scientists see it as valuable. From Ayala’s perspective, the proper way to understand something is to understand what function is serves. This is not necessarily a divine hand in the process, but a necessary condition for proper understanding of biology. A polar bear’s white fur really is for camouflage and the snake can unhinge its jaws in order to eat large prey. But these things are not ‘for something’ in a designed sense; they are ‘for something’ in a functional sense. Ayala believes that this understanding fits perfectly into a proper understanding of Aristotle’s Final Cause. A cause need not be designed for an externally defined purpose to rightfully be considered an Aristotelian Final Cause. From Aristotle’s perspective, unless you understand all four causes (the final, teleological cause included), you do not actually understand the object in question. While many evolutionary biologists have assumed that evolution is necessarily a purposeless process, Darwin himself did not agree. He did not dispute Asa Gray when he suggested that his theory united the two fields of teleology and morphology. And if Francisco Ayala is right, then Aristotle’s final cause fits perfectly within the framework of modern evolutionary biology, albeit in a way that isn’t necessarily indicative of top-down design. Ultimately, the question about teleology does not seem to be a question that cannot be solved by considering the science alone; we must consider the arguments from philosophy. A persuasive case has yet to be made for the absence of teleology in modern evolutionary biology, in spite of the strong teleological avoidance behavior exhibited by many evolutionary biologists. Therefore, the rejection of teleology in modern evolutionary biology is unwarranted, and modern biologists must take another look at Aristotle’s final cause. Ayala, Francisco J. 1970. Teleological Explanations in Evolutionary Biology. Philosophy of Science, Vol. 37. Darwin, Charles. 2004 edition. The Origin of Species. Introduction and Notes by George Levine. Barnes and Noble Classics. Dawkins, Richard. 1986. The Blind Watchmaker – Why The Evidence of Evolution Reveals a Universe without Design. W. W. Norton & Company. Dennett, Daniel C.1995. Darwin’s Dangerous Idea – Evolution and the Meanings of Life. Simon & Schuster. Lennox, James G. 1993. Darwin was a Teleologist. Biology and Philosophy. Kluwer Academic Publishers. Macdonald, David W., 20120. The Encyclopedia of Mammals (3 ed). Online version. Oxford University Press. McKeon, Richard. 1973. Introduction to Aristotle. The University of Chicago Press, Chicago and London. Zimmer, Carl. 2001. Evolution, The Triumph of an Idea. Harper Collins Publishing. This paper was originally my final paper in my Ancient Philosophy class at SUNY at Buffalo State College. It was also published at the Pillars Institute website. That picture is Plato, not Aristotle. 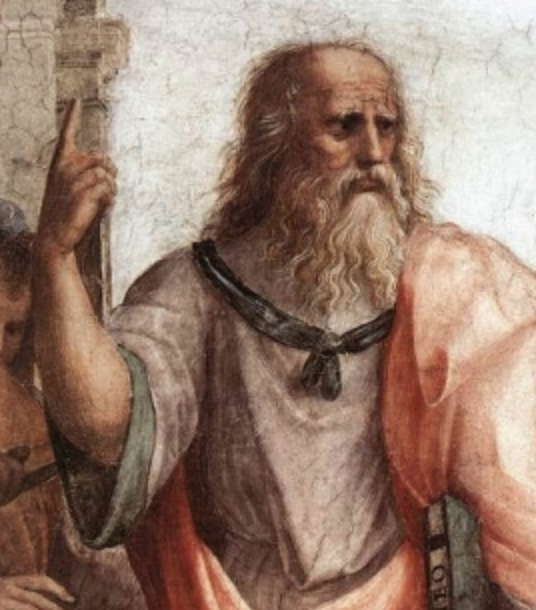 Plato points to a higher mystical reality, and Aristotle affirms that this reality is the essence of existence.